I am so excited about my new Read and Write like a Rock Star program! I get asked a lot about how to tie reading and writing together, while focusing on fluency, comprehension, phonics, vocabulary, writing, etc. I’m making it easy for you with my new monthly packs! I tell my kiddos that I want them to read and write like rock stars and they get all jazzed up! Reading and writing go hand in hand. Writing is SO important in kindergarten, as it is in all grades! A few tricks I have learned is using themed, high-interest materials and exposing students to similar material over time to build confidence. Try a week for FREE! Scroll down in this post. For my Read and Write like a Rock Star lessons, I slip all of my black lines and lessons for each month into a three-pronged flexible folder. This makes for easy organization and it doesn’t take up a lot of space. I like this more than file folders because each theme (there are four in each monthly pack) stays together. Plus, no more digging through file cabinets! 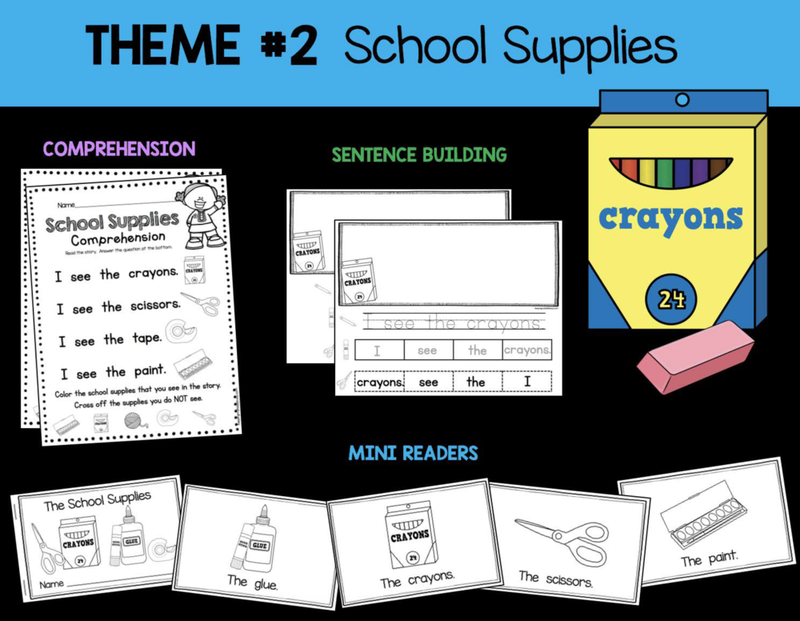 Each monthly Read and Write like a Rock Star pack comes with 4 themes, so we use one theme a week for each month. Watch their confidence, fluency, comprehension and vocabulary develop over the course of the week! Four themes for you to teach reading and writing for the month of September/Back to School! I read the passage first, then we read it together and finally they whisper read/buddy read. I help students practice touching each word as we read it. Finally, we answer the comprehension question(s) at the bottom. Two versions are included for each theme in this month - one with two words and one with four word sentences (a total of 8 worksheets). Personally, I start with two word sentences in kindergarten at the beginning of the year, but I do have a couple high kids who can do the four word sentences at the beginning of the year. The pictures and vocabulary correlate with the weekly comprehension and mini readers. 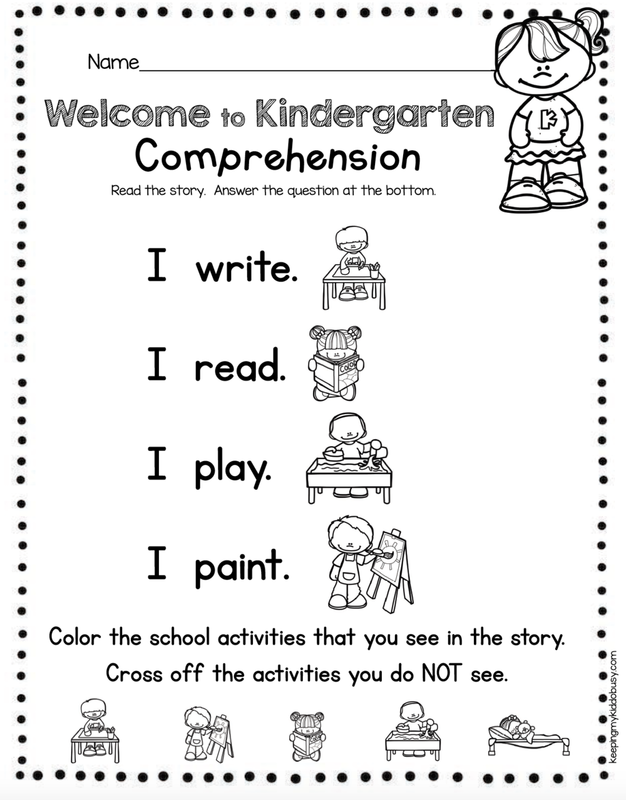 We usually do these writing worksheets on Wednesday after they have had a chance to see the comprehension page. Seeing the pictures and vocabulary multiple times throughout the week builds confidence and fluency. Students read and trace the sentence Then, they cut and match the words to paste them in order. They love to “build” a sentence and illustrate a picture to match. We love doing our weekly mini readers! We start doing these whole group, but once they understand my expectations, routine, etc. 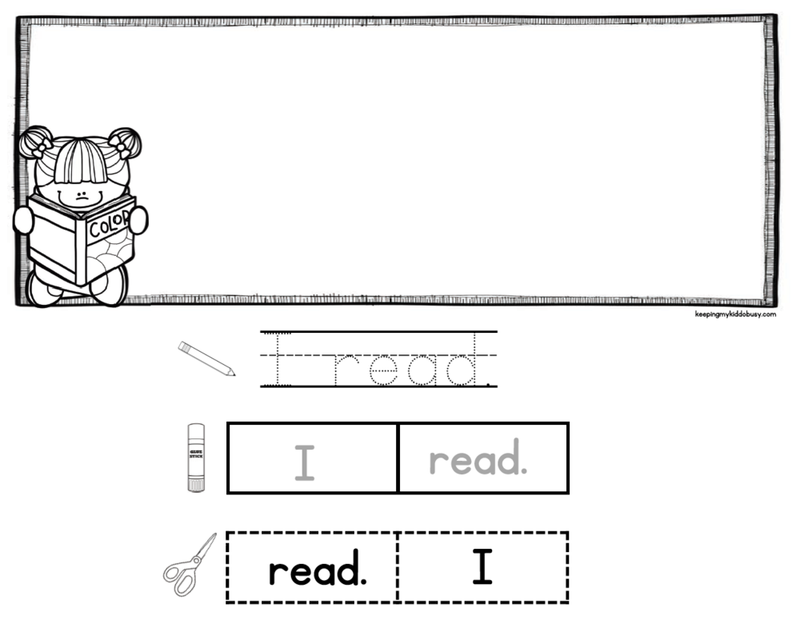 this activity is easily moved to a literacy center. We use these on Thursday or Friday, so students have already seen the vocabulary and pictures on the Sentence Building worksheet and Comprehension activity earlier in the week. I read it to them, then we read it whole group chorally and then students practice reading to each other. After this, they can trace the sentences and we answer the comprehension questions on the back page. 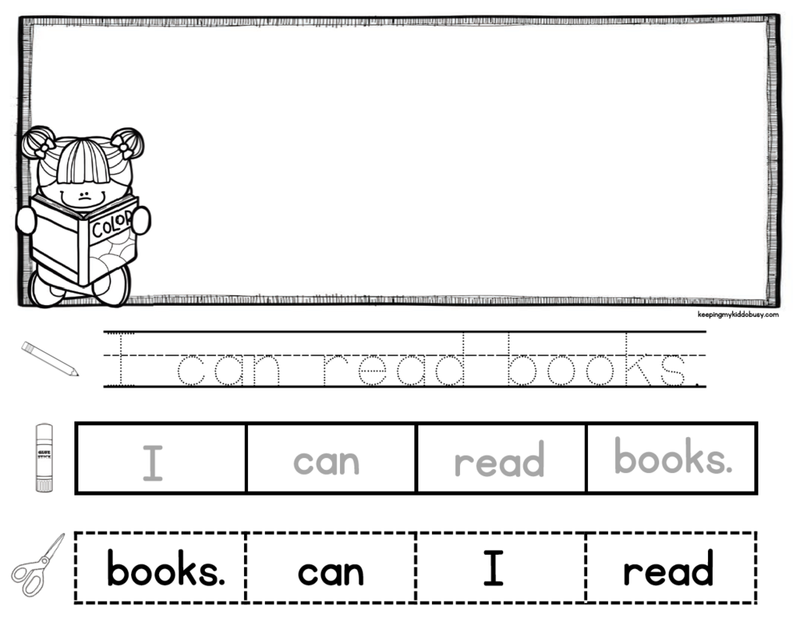 Students love to take their books home each week to read to their families!The comprehension questions and sentence structure get progressively more difficult throughout the school year in each monthly pack. 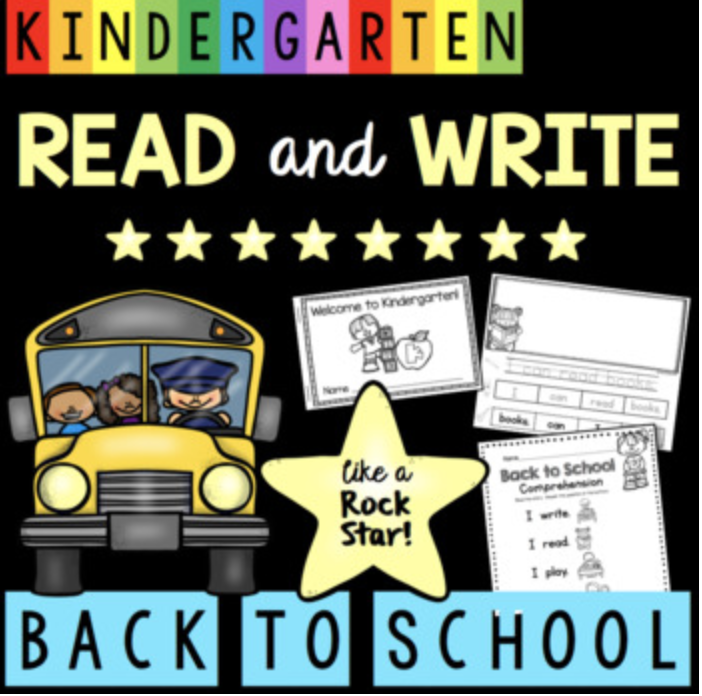 Your students will be reading and writing rock stars each week with these activities! Hands-on learning with little prep for you – each week use a different theme to teach vocabulary, sight words, comprehension, fluency, writing and MORE! Your kiddos will be reading and writing like Little Rock Stars! Plus, lesson planning and prep work is minimal for you! You can just print and teach. Plus, there is an incentive tool to get kids excited about becoming Rock Star readers and writers! Once they complete an assignment, my kiddos can’t wait to color in the star showing they did it! Students color the stars on their chart for each assignment when they complete it. My students LOVE to fill up their charts and this is a great incentive to complete their assignments. You can choose to do a prize when they fill up their monthly chart! Watch the video below to see the FREE week in action! 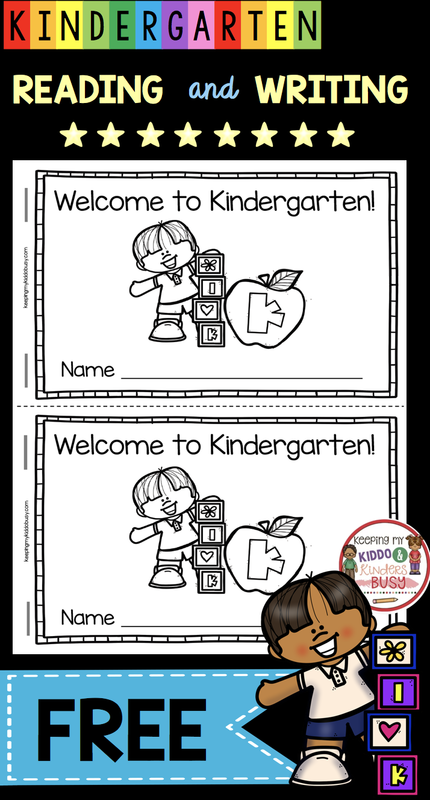 Try the WELCOME TO KINDERGARTEN theme for FREE! Ready to teach your kiddos to Read and Write like Rock Stars?! CLICK HERE to grab this entire pack! Or SAVE MONEY with the BUNDLE! "Amazing bundle, worth the money." "So much fun...so developmentally appropriate... love these!!! Thanks." "I love how the whole weeks worth of activities go together, thank you for this great resource!" Have you grabbed my FREE year-long Kindergarten Curriculum Map? Join my Exclusive Freebie Library! Access this and other FREEBIES right away! Sign up at the bottom of this page and access them all right away!